Slack is big. We see this as a potential channel to engage with your target audiences, but also a means to engage your team to share your posts. 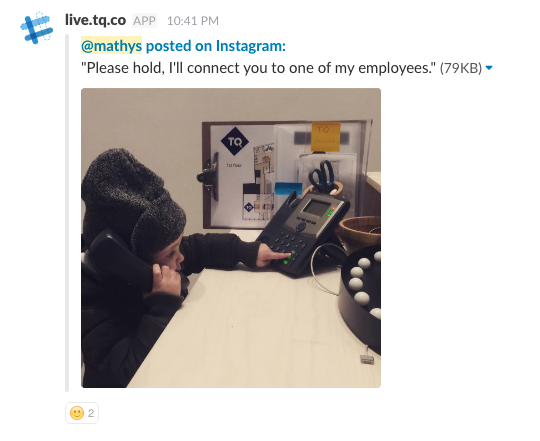 That's why we integrated Slack. 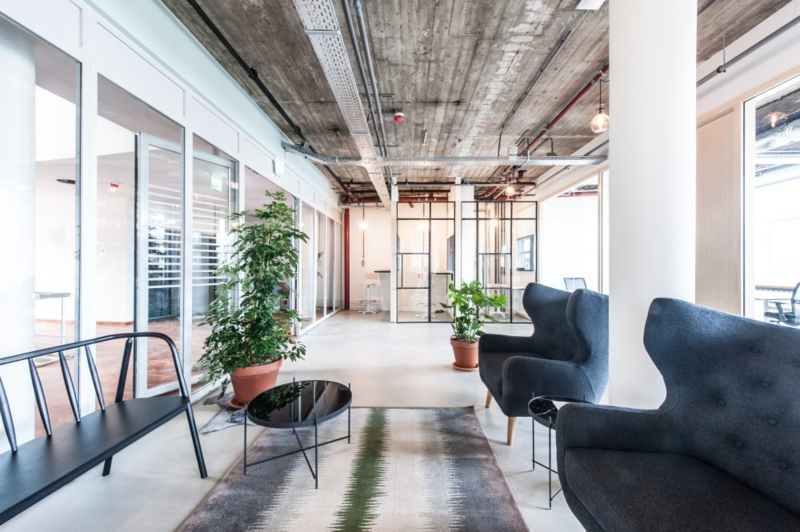 More than four hundred people work in our office building at TQ and we use Slack for the residents of the fifty+ scaleups building the community. 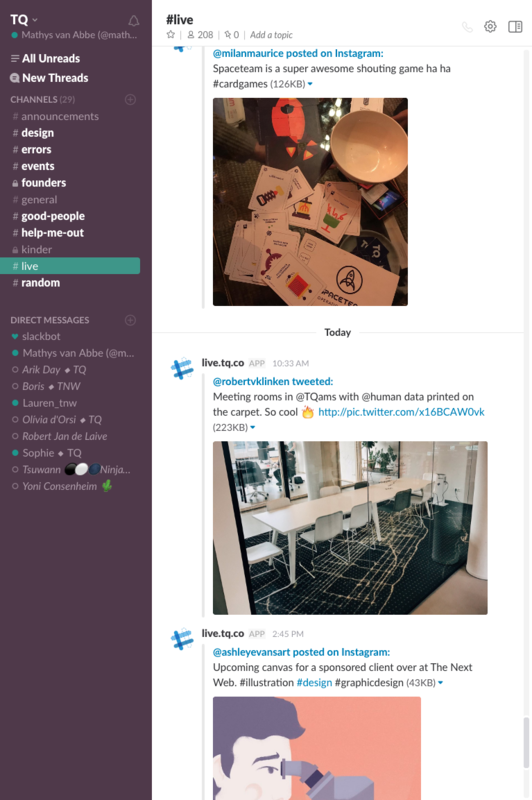 Slack is the ideal tool for announcements, communication around events and messaging between the different teams, founders and companies. We've created some cool integrations with Slack. Which means that whenever something gets posted by the community, automatically the update also is posted to the Slack #live channel. No filter bubble, no following each other accross all social media accounts. Just a simple timeline for everyone in the building to discover, share and interact with the social stories and energy around the space. How it works is very easy. For Instagram; just add TQ as a location to all our Instagram posts in the building. For Twitter; just mention @tqams or add #tqams or #tqismyhq to your tweet. Tag The Love does the rest. Want to find out how Tag The Love can help you or your organisation gaining presence online? Contact us. We want to work with more offline spaces like museums, parks and hotspots in the big cityies. Want to learn more about Tag The Love or stay up to date on all the developments? Read this.